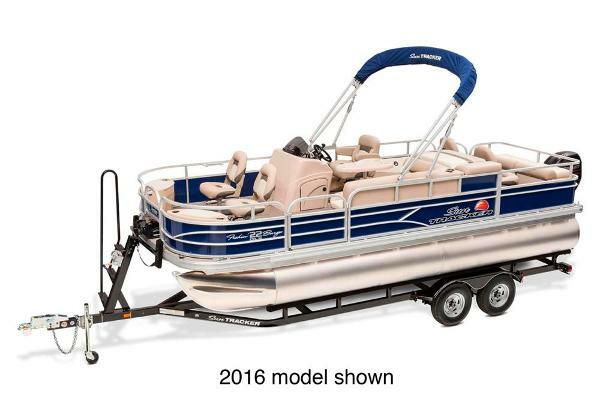 2017 Sun Tracker Party Barge 22 DLX, With room for 11, you, your family and friends are all welcome onboard the PARTY BARGE® 22 DLX. 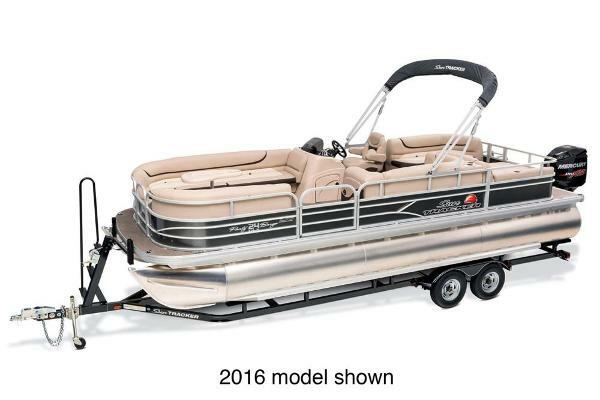 And while the amount of space onboard is impressive enough, it's nothing compared to the amount of comfort amenities and fun features this pontoon boat provides. So, whether you're swimming, cruising or just relaxing your worries away, know that you'll be surrounded by such comforts as deep lounge seating throughout. Cavernous storage spaces. 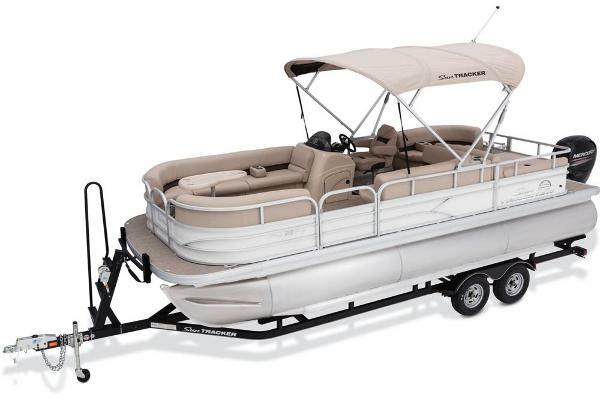 A Bimini top with our QuickLift deployment system. 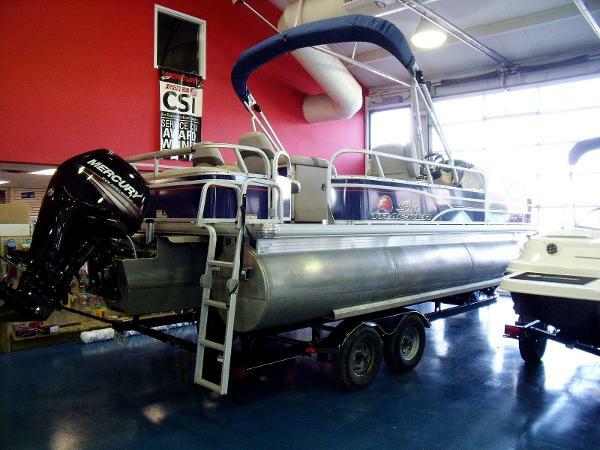 And, of course, a full-width swim platform and boarding ladder. 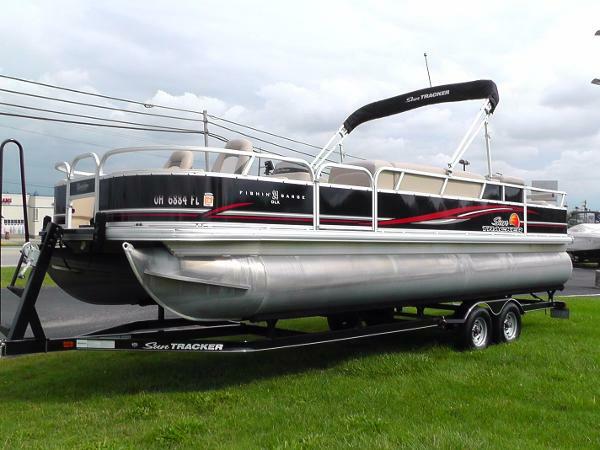 This is a hard to find 30' Suntracker (hard top) Party Hut Pontoon boat powered by a 60 hp Mercury Tracker outboard with no known issues that moves this vessel along just fine and the 30 gallon fuel tank that will take you most anywhere on those weekend excursions. It has three sleeping areas that would be comfortable for up to 6 people. 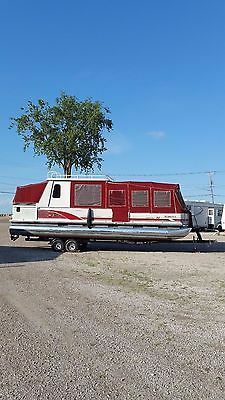 The front seats pull out to make a king size bed, the table area makes a bed that would be comfortable for two children and the back of the boat turns into a queen size bed. The head/changing room has a window, light and a porta potty. The kitchenette has a two burner propane stove, lights, cabinets, drawers and a sink that that has two tanks one for fresh water and one for dirty water. 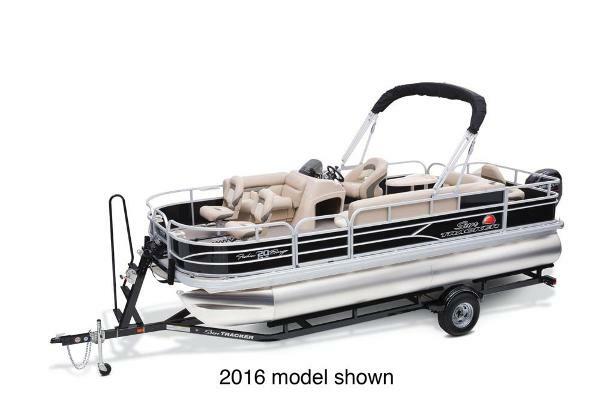 It also has a stainless steel propane Coleman grill that mounts to the front or side rail of the boat. 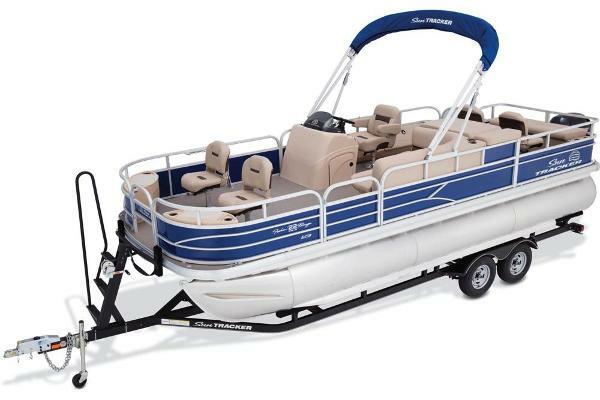 It has a full camper top/enclosure costing over $4,500.00 that is just 3 years old with side curtains, screens and full glass.The roof of the boat is new and is very stable and rated for four people. 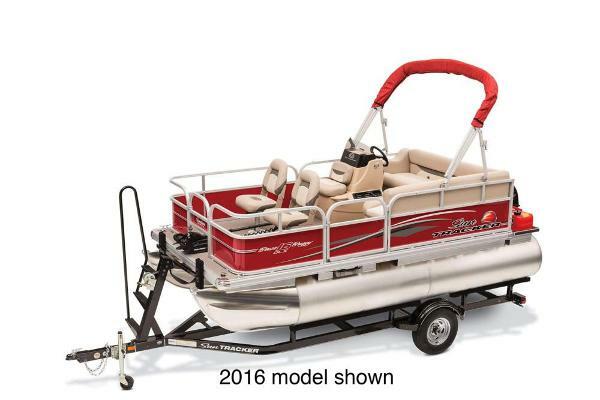 It has an aluminum ladder toward the back to go up and enjoy the sun. 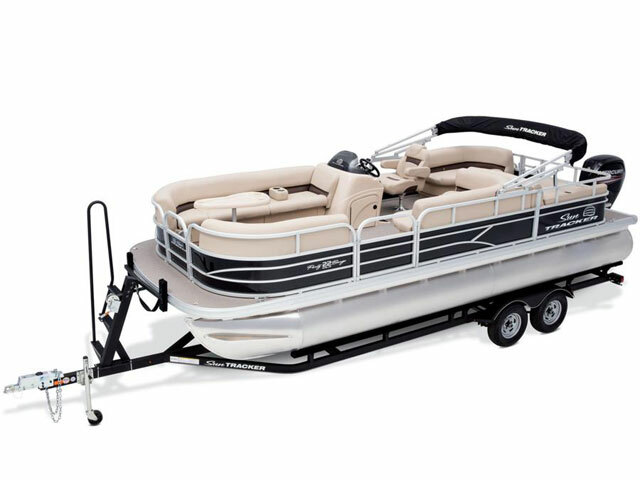 it also has a custom made 4 step heavy duty aluminum swim ladder that folds up and can be stowed away. The floor of this boat is all aluminum so the floor will never get soft. The interior of this boat for it's age, is just fantastic and seats 14 people underway. 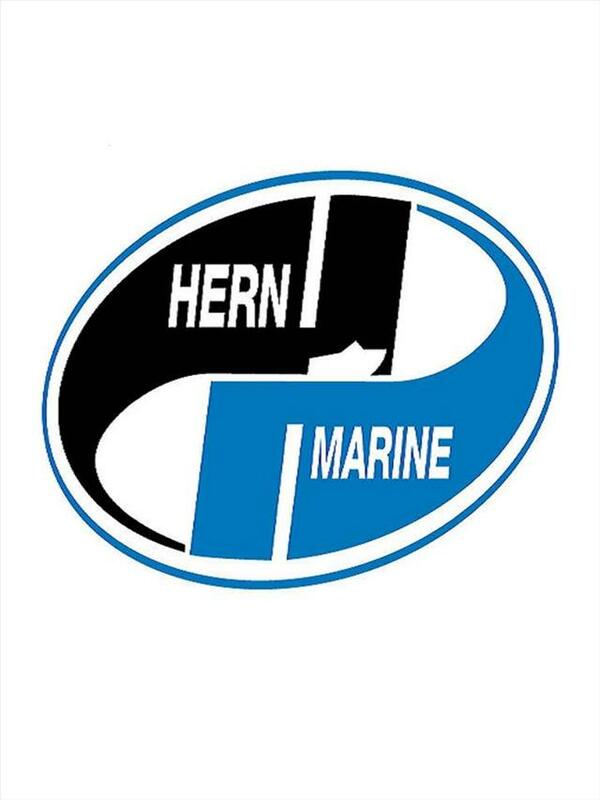 The seats have been babied, being cleaned with murphys oil soap and a UV coating applied once per month during boating season. The carpet has no tears in it whatsoever and the sound system is new, along with the speakers. 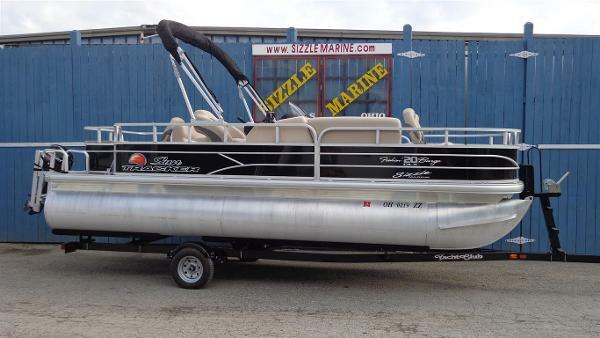 It comes with a 2007 Shorelander dual axle trailer and the tires are like new condition. 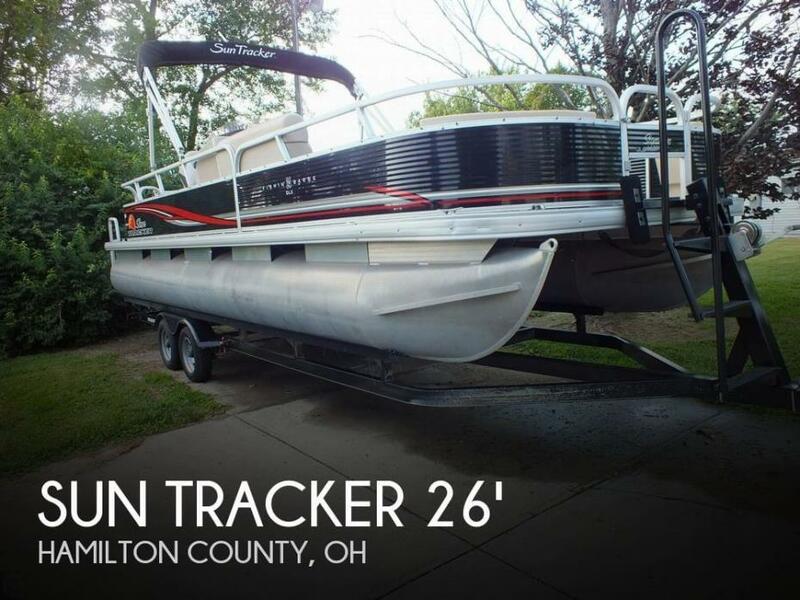 This boat is sitting in Port Clinton, Ohio all bundled up for the winter and is waiting for you! Serious inquiries only.